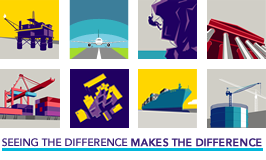 Brit is a market-leading global specialty insurer and reinsurer, focused on underwriting complex risks. We have a major presence in Lloyd's of London, the world’s specialist insurance market provider, and a significant US and international reach. We underwrite a broad class of commercial specialty insurance with a strong focus on property, casualty and energy business. Our capabilities are underpinned by our robust financials. Brit is a subsidiary of Fairfax. During 2017, Brit's gross written premiums totalled US$2,057.0 million and at December 31, 2017 we had 558 employees. Brit is led by its Chief Executive Officer, Matthew Wilson, who has been with Brit since 2000. Our business is underwritten exclusively through our Lloyd’s Syndicates 2987 and 2988 and benefits from Lloyd's ratings of A (Excellent) from A.M. Best, AA- (Very Strong) from Fitch and A+ (Strong) from Standard & Poor’s.